Unless you've been living under a rock for the last few days, you know the story of Jamal Khashoggi. But just to be safe, Jamal is a Saudi Arabian-born journalist who has been missing for a week after entering the Saudi embassy in Istanbul. Jamal was one of the most outspoken critics of the Saudi royal family, specifically the 33-year-old Crown Prince Mohammed Bin Salman. As for how he was murdered, it's almost explicitly clear that the grizzly act was carried out by a 15-man special forces hit squad sent from Saudi Arabia. We know this thanks to multiple CCTV videos and travel logs at airports and hotels that show the hit-squad's movements step by step from the moment they arrived in Istanbul on two Gulfstream private jets, to the moment they walked into the embassy, to the moment they flew home on those same jets less than 24 hours later. Jamal Khashoggi is presumed dead and the Saudi government is reportedly about to admit that he died in their custody during a failed kidnapping attempt. It's a horrific incident that puts Donald Trump in a very awkward position when it comes to the Saudis who just last year agreed to buy $100 billion worth of arms and other goods from the US. And in another strange twist, President Donald Trump actually has an interesting connection to Jamal's late uncle Adnan Khashoggi. Back in the 70s and 80s, Adnan was the biggest arms dealer in the world. Adnan brokered many extremely lucrative deals between governments all over the world. But he made the majority of his fortune as the go-between for the US and Saudi governments. His clients included Lockheed Corporation, Grumman Aircraft Engineering Corporation, Raytheon, and Northrop Corporation. He received $106 million in commissions from Lockheed alone between 1970 and 1975. That's the same as around $500 million today. As a result of his dealings, Adnan managed to accumulate a peak net worth of $4 billion in the early 1980s, the same as around $9 billion today after adjusting for inflation. That was enough to make him the richest person on the planet for several years, before being replaced by Bill Gates. Adnan, who just died just last year at the age of 81, lived an extremely insane life. At his peak, he traveled the globe with a harem of 11 "pleasure wives" and supposedly spent $250,000 PER DAY funding his lifestyle. During the go-go 80s, Adnan spent a lot of time socializing in New York City. And whenever he visited Manhattan, he hung out with Donald Trump. They had a lot in common. They were rich. They loved women. The loved buying extravagant toys… They both would eventually go through extremely expensive divorces. When Adnan filed for divorced from his wife Soraya Khashoggi in 1979, the case dragged on bitterly for five years. When it was all said and done in 1984, a judge ordered Adnan to pay Soraya $875 million. It was the largest divorce settlement in history at the time and currently the third most expensive divorce ever. In 1988 Donald bought a 282-foot yacht from Adnan for $30 million. 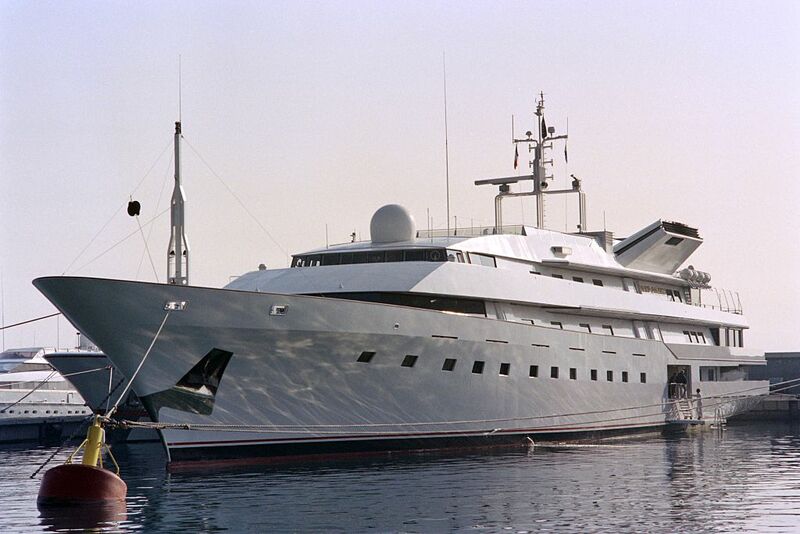 Adnan had spent $100 million in 1980 building and furnishing the yacht, which is the same as around $300 million today. It was one of the largest yachts in the world when it was built. Today it is one of the 60 largest yachts in the world. In 1991, Donald was teetering on personal bankruptcy thanks to a downturn in the New York City real estate market and a pending divorce from first wife Ivana. He needed cash so he put the yacht up for sale. 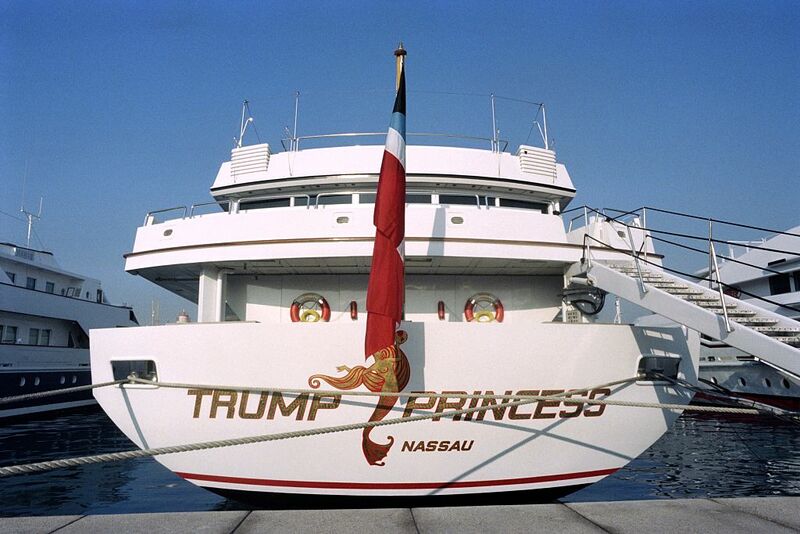 Donald eventually sold the yacht for $20 million. The buyer? Saudi Arabia's Prince Al-Waleed bin Talal. In 1995, Donald was still feeling a financial pinch and was looking for a buyer for New York's Plaza Hotel. The eventual buyer? Prince Al-Waleed, for $325 million. 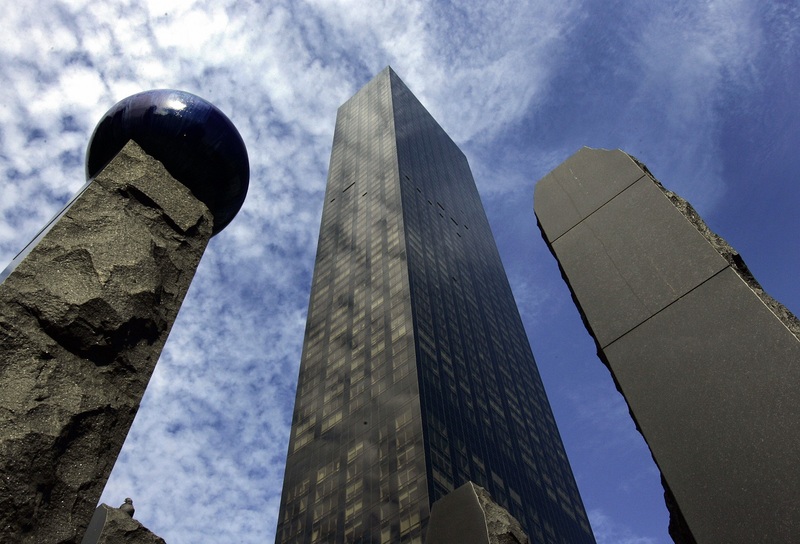 In 2001, Donald sold the entire 45th floor of Trump World Tower for $12 million. The buyer? The Kingdom of Saudi Arabia. Prince Al-Waleed and Crown Prince Mohammad are cousins. They are both grandsons of Ibn Saud, the founder of the Kingdom of Saudi Arabia. And guess what? Prince Al-Waleed is also connected to Jamal Khashoggi! In 2010, Prince Al-Waleed launched a news channel called al-Arab. The goal was for al-Arab to be an independent, privately owned broadcaster offering objective and agenda-free news for the Arab world. Who did Prince Al-Waleed hire to run al-Arab? Jamal Khashoggi. Unfortunately, al-Arab did not stay on the air for very long. On the first day of broadcasting, al-Arab aired an interview with a Bahraini political dissident who denounced the government of Bahrain. Oh, I forgot to mention that al-Arab was based out of Bahrain. After years of planning, the network was shutdown after just one day. Whose decision was it to interview the Bahraini dissident? And who conducted the actual interview? Jamal Khashoggi. In September 2017, Jamal fled Saudi Arabia amid a crackdown of journalists and other critics of the Kingdom that was initiated by the Crown Prince. Just two months later, in November 2017, Prince Al-Waleed sent an email to his old friend Jamal encouraging him to return to Saudi Arabia to get involved and "contribute" to the Crown Prince's vision and goals. Jamal didn't trust the invitation and made that clear in his reply. A few days after he sent that email to Jamal, Prince Al-Waleed was arrested. He was subsequently held at the Ritz Carlton in Riyadh for three months under charges of corruption. He was released only after reportedly agreeing to fork over $6 BILLION worth of assets to the government. Who ordered the arrest and is essentially "the government"? Crown Prince Mohammad. What was that email all about? Was Prince Al-Waleed being pressured to get Jamal back to Saudi Arabia where he would have been jailed or executed? Why was he himself jailed? Believe it or not, nearly a year later and the multi-billionaire prince is still wearing an ankle monitor and can't leave Saudi Arabia. Clearly there are some weird connections and interesting twists to this story. What happens if it is proven that the Crown Prince ordered Jamal's assassination? What happens to his standing in the world and his planned arms deal with the United States? We'll update you as we learn more! The disappearance is only the latest chapter in Salvator Mundi's long, complicated history, that has seen it go from an overpainted, virtually worthless mess to a genuine, authenticated da Vinci. Serene isn't a bad place to spend the night: It includes not one, not two, but three swimming pools, as well as two helipads and an indoor rock climbing wall.